' Julie Girling is leading Britain's Conservative MEPs in fighting moves to ban an important herbicide. She said: "Farmers need this product to protect arable fields and horticulture crops. It is also needed where there are large hard surfaces - airports for example - to tackle damaging weeds." 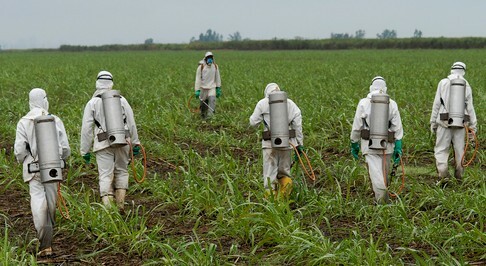 Scientists at the European Food Safety Authority have researched the substance thoroughly and found that glyphosate poses no unacceptable risk when used appropriately and is unlikely to pose a hazard to humans.Based on that advice, the EU Commission is proposing to renew authorisation, which is due to expire on June 30. However, MEPs on the Environment Committee passed a resolution objecting to the approval of glyphosate, leading to this week's vote of the full parliament.Mrs Girling said:"This product has been used for years and we are not going to stand by and watch over-zealous MEPs from the Left slip through a ban in the face of the science. "This is a decision for member state experts. Parliament should let them get on with things. As MEPs we should support evidence based policy making. "In this case some anti-farmer MEPs are straying outside their remit and leaving the public open to higher food prices and scarcity issues"
"We will not let them get away with it. We'll support fairness for farmers and consumers." The US Center of Food Safety strongly disagrees with the European Food Safety Authority assessment. Green MEP for the South West, Molly Scott Cato, is against the continued use of glyphosate.